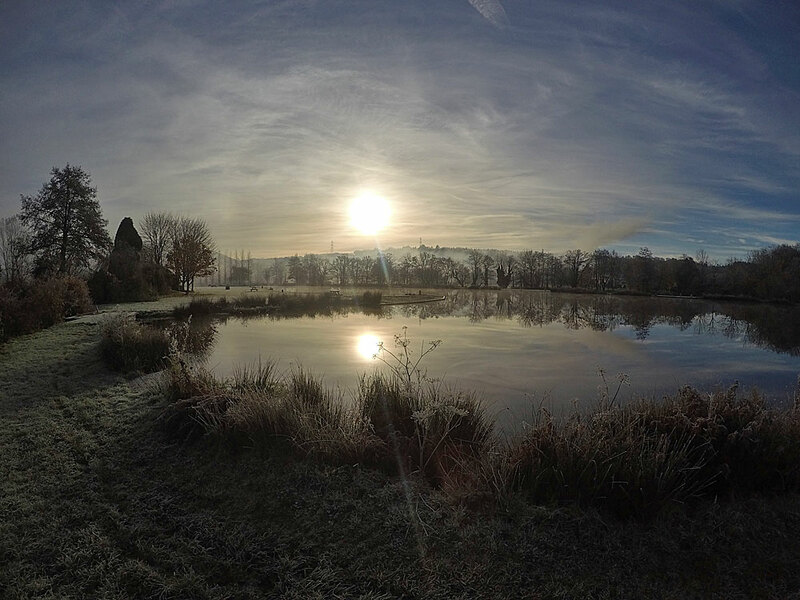 Anchor Lake is the main small stillwater at Exe Valley Fishery, providing two acres of fly fishing in spectacular surroundings. 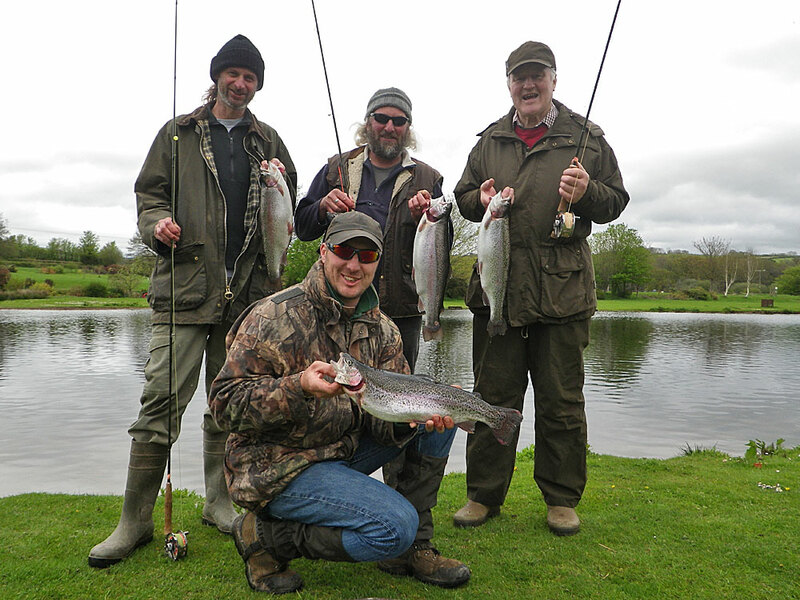 Located next to the River Exe, just five minutes from Dulverton, our flagship venue is popular with anglers across the West Country and further afield. The banks are very well maintained and have been constantly improved during the last few seasons. In 2014 we began by completely rebuilding one shoreline following on with large scale works in August 2015 when thousands of tons of material were dredged from the lake bed. This work has completely transformed the lake, providing perfect Trout habitat and access to deep water within a short cast. During August & September 2016 the lake was drained completely to continue the work carried out in 2015, creating even more depth and stabilising banks with rock which will also improve habitat for aquatic insects. A number of picnic benches offer a place to relax while contemplating fly choice, taking in the surroundings or enjoying lunch. Safety is of paramount importance to us and therefore several new non-slip astro turf fishing platforms have been installed along with refurbished walk ways. Check out the news area of the website for details as they happen and for a full report on the dredging work carried out during 2015 please click here. To see the most recent improvements to Anchor Lake during 2016 please click here. Is there a better place to spend the day? 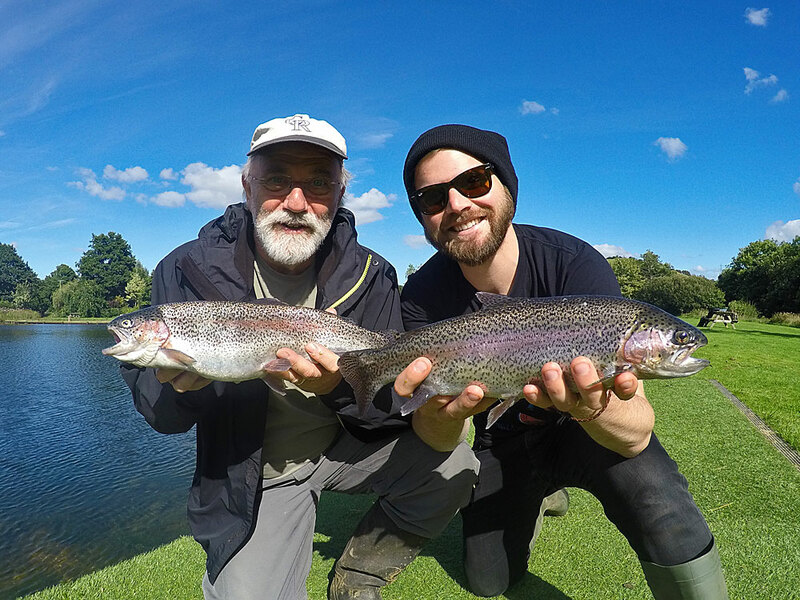 A meticulously maintained shoreline is one thing but the management at Exe Valley Fishery are passionate anglers themselves and therefore we know how important it is to maintain a stock of high quality fish. 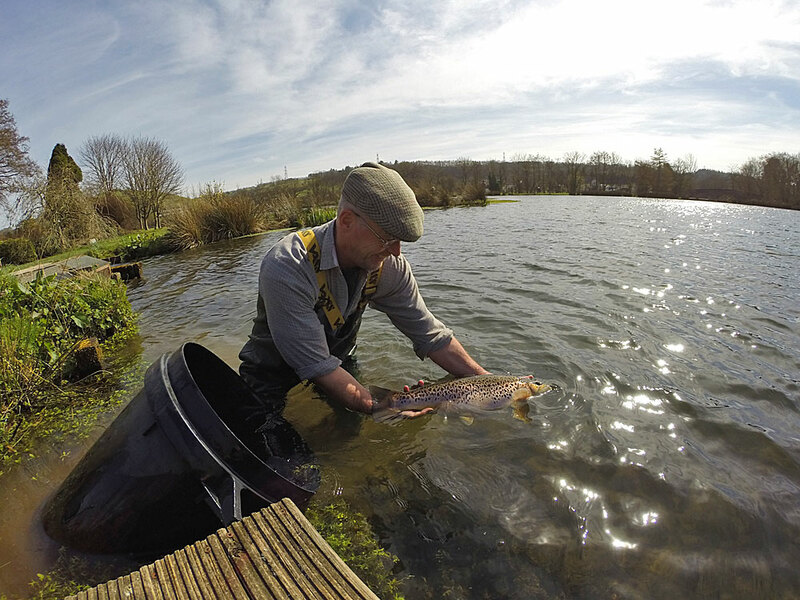 Fortunately the cool waters of the rivers Exe & Barle rising in the hills of nearby Exmoor not only feed Anchor Lake but also provide a constant flow of highly oxygenated water to the fish farm, resulting in very hard fighting Trout. 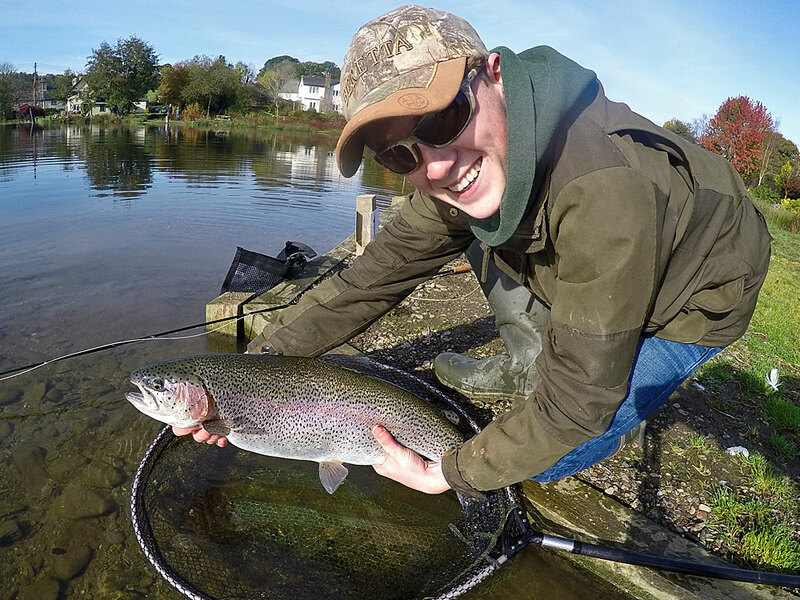 Stocking takes places at least once per week with mainly Rainbow Trout, although we also like to introduce a few stunning Blues and specimen sized Brown Trout. 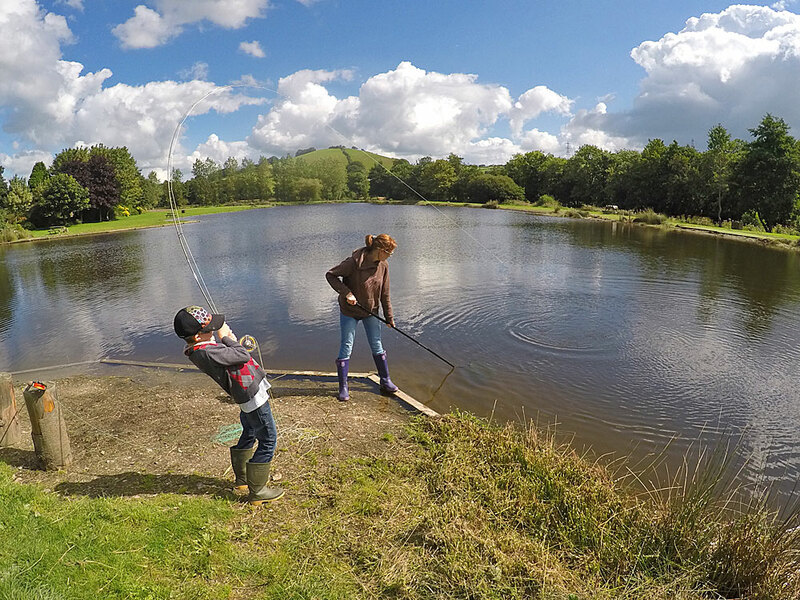 Catch a BIG one and enter it into the Troutmasters competition! 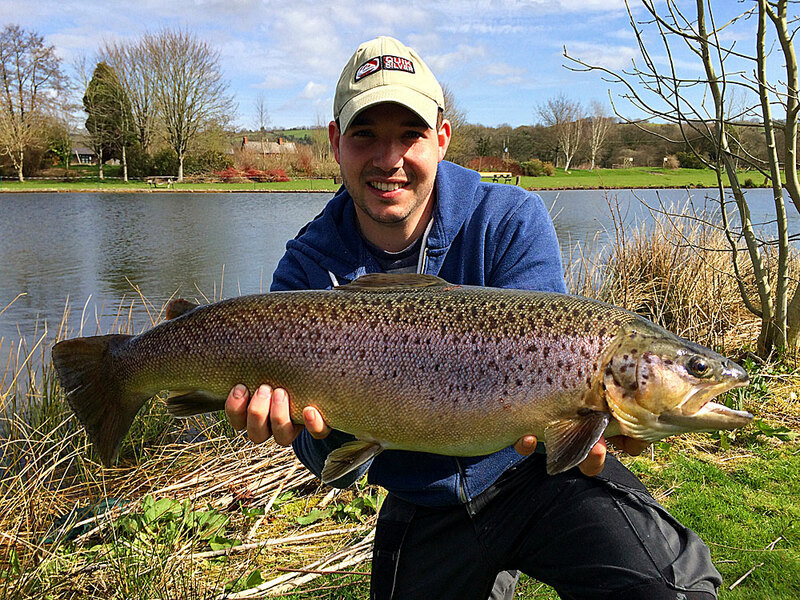 The natural flow of water, high quality stock & fantastic fly fishing are the main attraction at Exe Valley Fishery but many anglers also report that our Trout are the best that they have ever tasted. Don't take our word for it, enjoy a day on Anchor Lake and find out for yourself! Recommended Tackle: 9' #5 to 9'6" #7 Rod with Floating, Midge Tip & Intermediate line with 6lb to 8lb leader.